Escaping the streets of a rough city can seem like a never-ending exodus. If one is not consumed by the environment itself it is simply life that takes over them or their loved ones. 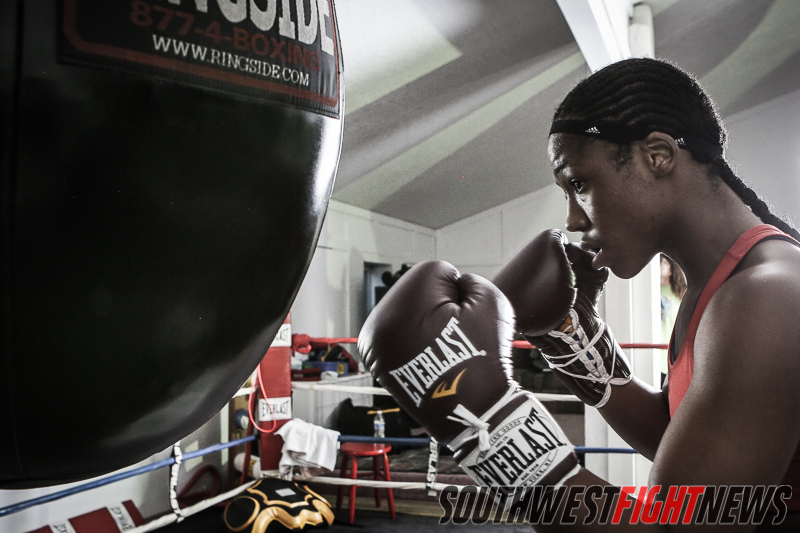 For Gary, Indiana’s Mary McGee (20-1, 11KOs) boxing has provided a haven but it is the real world that has given her the biggest fight. So far the keystone victory in McGee’s career is a majority decision over Kristy Follmar in February of 2010 to claim the vacant WBC International Lightweight Title. It would quickly be overshadowed by the events that would take place the following months. The lone loss of Mary McGee’s career in April of 2010 came shortly after her older brother Maurice was murdered and the passing of her trainer Octavius James. Following their deaths McGee would go 10 months without a fight before finally facing Brooke Deirdorff who at just 5-4-1 was coming off a monumental upset victory over Mia St. John. McGee would lose a close six-round unanimous decision to Deirdorff and not fight for nearly a year and half after it. The spirit that drives residents of rust belt cities would reflect in McGee’s next three fights where she would bounce back from her first loss with two easy unanmious decision victories and a third fight, on what she says was three days notice, this past December on the Holly Holm vs. Diana Prazak undercard where she easily stopped local Albuquerque favorite Victoria Cisneros. Hailing from a steel producing midwest town where McGee was raised by her maternal grandparents, it would be her attraction to physically fit teenaged boys that would first lead her to the Gary Police Athletic League (PAL) boxing gym. Once a bustling industrial town Gary has lost more than half of its population since the 1960s with the fall of the metal industry. “Gary is nothing like Albuquerque, it’s rougher there,” explains McGee. “Trying to come up in boxing was pretty difficult in Gary.” In fact the city which makes up part of the Chicago metropolitan area has only had one native world champion in former middleweight Tony Zale. This weekend McGee will look to become the first world champion from Gary in 65 years having to do it by facing arguably one of the top three female boxers of all time Holly Holm (32-2-3, 9KOs). McGee looks to play spoiler this week in a fight many boxing pundits believe she has a small chance in against Holm who herself recently announced that this contest will be her last in boxing and will transition full time to mixed martial arts. 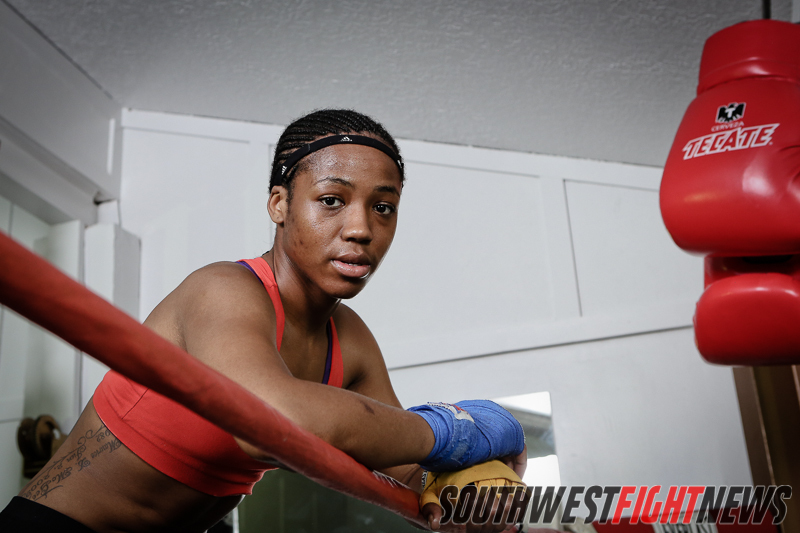 McGee will be facing Hollm for the International Boxing Association and World Boxing Federation Female Light Welterweight championships at the Route 66 Casino just minutes west of Albuquerque, New Mexico Saturday night. Doors open at 6PM with the first fight starting at 7PM. Tickets can be purchased by visiting HoldMyTicket.com.